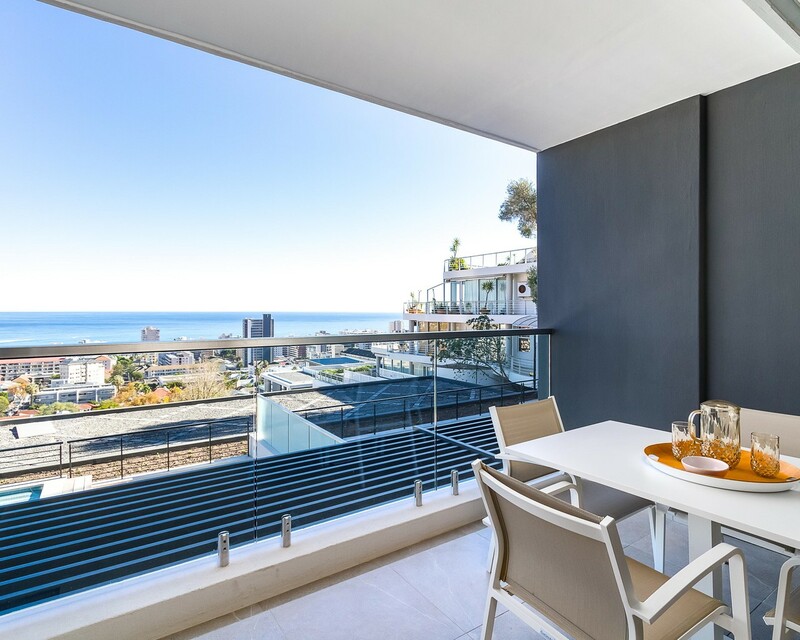 Spacious open-plan living area leading onto terrace with exceptional views overlooking Sea Point and the ocean. Kitchen includes stone tops and fully integrated SMEG appliances. Two large bedrooms (both en-suite), guest cloakroom, air-conditioning and underfloor heating throughout. Includes two basement parking bays. Facilities/amenities include: Exclusive triple volume concierge 24-Hour on site security and video surveillance. Communal lounge leading onto terrace, bar and pool deck with daybeds and lounges. High speed internet throughout. Apartment is wired for home automation. Back up generator and borehole water, additional parking bays and storerooms available to purchase.